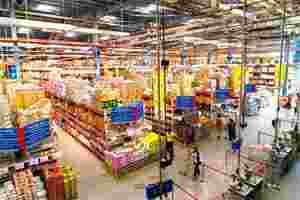 Mumbai: The long-awaited liberalization of overseas investment norms in the retail industry may not have an impact on the business landscape and economic indicators such as inflation for another two-three years, said industry experts and analysts. The most immediate impact will be seen in existing joint ventures such as Bharti Walmart Pvt. Ltd, between Bharti Enterprises Ltd and the world’s largest retailer Wal-mart Stores Inc., and Tata’s Star Bazaar, which has a tie-up with Tesco Plc. A short-term impact may also be seen at India’s largest listed retailer by revenue, Pantaloon Retail (India) Ltd, said industry experts. The government has swung open the doors for foreign investment in retail. But what does it mean for consumers, farmers and retailers, big and small? The government on Thursday approved 51% foreign direct investment (FDI) in the supermarket sector and 100% FDI in single-brand retail with a few riders, paving the way for the entry of global firms such as Wal-mart, Carrefour SA and Tesco into one of the world’s largest untapped markets. The decision led to an uproar in Parliament amid protests by the opposition that the move will destroy small, family-run neighbourhood shops. India’s central bank said the move may serve to rein in prices, the key focus of its monetary policy. “We hope it should also contribute to reducing inflation," Reserve Bank of India governor D. Subbarao told reporters in Chandigarh. It defined small industries as those with a total investment in plants and machinery of not more than $1 million (around ₹ 5 crore). Sharma on Friday said this 30% sourcing will not be restricted to India because of the country’s World Trade Organization obligations. Opening up the retail business will likely lead to the entry of global companies, Aditya Birla Money Ltd said in a report on retail FDI on Friday. “We believe the key beneficiary will be the value-retailing segment of the retail industry," it said. Large retailers Pantaloons, Reliance and Bharti Walmart have plans to open 25-50 stores a year, and others, including Shoppers Stop Ltd, Star Bazaar and Aditya Birla’s More, 8-15 stores a year, said Shubhranshu Pani, managing director (retail services) at Jones Lang LaSalle India (JLL), a property consultancy. These retailers are ready to redraft their plans. The Bharti Walmart 50:50 joint venture has been operating in India for the past four years and has 15 cash-and-carry outlets under the BestPrice Modern Wholesale banner. “It is a natural corollary of progression to revisit the partnership. We will have a chat, but it is too soon to work out the details. The ink has not yet dried on the FDI," said Rajan Mittal, vice-chairman and managing director of Bharti Enterprises. Shoppers Stop, which runs the Shoppers Stop department store and hypermarket chain HyperCity, may consider a tie-up for the latter. HyperCity has 12 stores and plans to open another 10 in the next three years. “The chain will break-even in the next 24-30 months and if we plan to grow beyond 22 stores to, say, 35 in three years, we may need to review our plan and look for a strategic tie-up," said Govind Shrikhande, managing director and chief customer associate at Shoppers Stop. The Kishore Biyani-led Future Group’s retail arm, Pantaloon Retail, has aggressive plans to add 9 million sq. ft over the next three-four years to its existing footprint of 15.5-16 million sq. ft.
“Pantaloon stands to gain the most in the scenario where there is no specific rider and the locations where stores can be opened, as 94% of its stores are in cities with a population of 1 million and above," MF Global Sify Securities India Pvt. Ltd said in a retail sector-FDI update report. “However, high debt of ₹ 5,400 crore on its books and the risk of it increasing could drag valuations (down)." For retailers looking at entering India, the road will be tough, said industry experts. The stipulation of a minimum $100 million in investment may make it difficult for overseas retailers to enter specialty formats such as music, mobile, electronics or even pharmaceuticals. “These formats require lesser investments of up to $50 million," said Nandini Chopra, executive director and head (mergers and acquisitions, consumer and retail) at KPMG. Additionally, “it will be at least two years before a new retailer would be able to set shop in the upcoming malls. Malls coming up in 2012 and in 2013 have already signed their anchor tenants and have nearly 60% occupancy", said Pani of JLL, who expects the demand for real estate to increase 20-30%. The timing is not favourable, given the macroeconomic uncertainties. “This is not the most opportune moment as international retailers are currently facing multiple pressures. But now, the international retailers know that the Indian government supports investment, so they will put a higher priority on the Indian long-term market opportunity," said Saloni Nangia, senior vice-president and head (retail and consumer products) at Technopak Advisors Pvt. Ltd, a retail consultancy. To be sure, by 2020, the retail landscape is expected to be transformed. According to a report by Boston Consulting Group, India, and the Confederation of Indian Industry, the size of organized retail in the country is close to $28 billion, or 6-7% of total retail. The total retail market is estimated to grow to $1,250 billion by 2020, of which 21% will be in the organized sector. With added capital investments from overseas firms, the sector could have a significant impact on India’s economy. The organized retail industry could attract substantial investments by then. “We will get around $8-10 billion of fresh investments coming into the country over the next 5-10 years," said Biyani, founder and chairman of Future Group. Investors are upbeat. Stocks of retail firms on Friday saw their largest single-day rally this year. Pantaloon Retail rose 16.67% to ₹ 234.05 on BSE, Shoppers Stop gained 6.29% to ₹ 395.65, CESC Ltd, which owns Spencer’s Retail, rose 8.18% to ₹ 274.35, and Tata group firm Trent Ltd, which runs and manages a number of retail chains, 8.4% to ₹ 1,058.45. The benchmark Sensex lost 1.03% to end at 15,695.43 points. Over the last two days, CESC rose 13.72%, Pantaloon 30.97%, Provogue (India) Ltd 7.3%, Shoppers Stop 12.21% and Trent 9.57%.